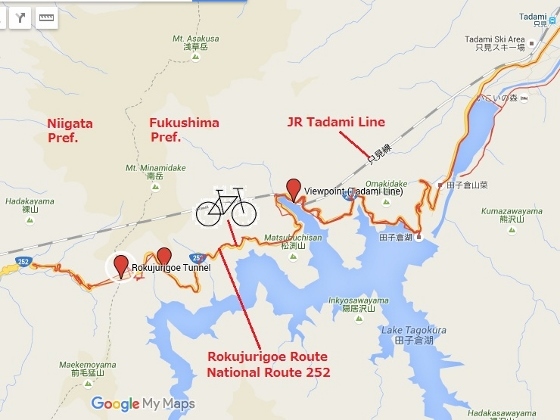 Today I pedaled along Rokujurigoe Route which connects Fukushima Pref. and Niigata Pref. 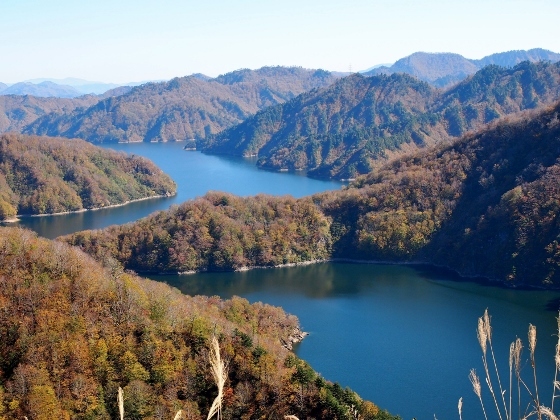 This is a mountain road along Lake Tagokura and a part of it goes along JR Tadami Line. Many snow sheds and tunnels are on the way. The road is closed in winter. 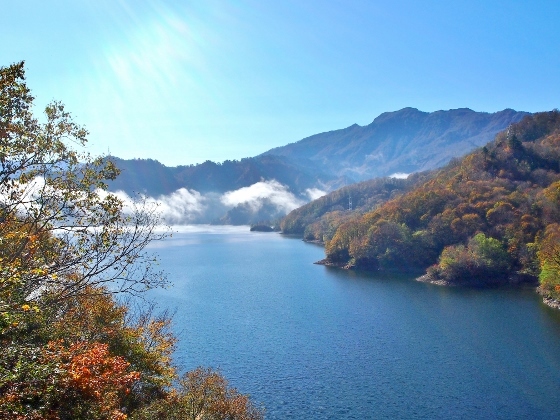 In the morning before 9am, Lake Tagokura was covered with heavy fog. But after 9am the fog disappeared quickly as shown in the picture above. 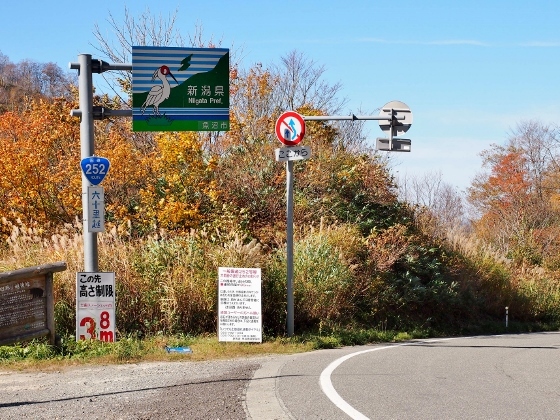 There is a memorial for the opening of this road near the border between Fukushima and Niigata. From the memorial point I could have an excellent view over the Lake Tagokura as shown above. 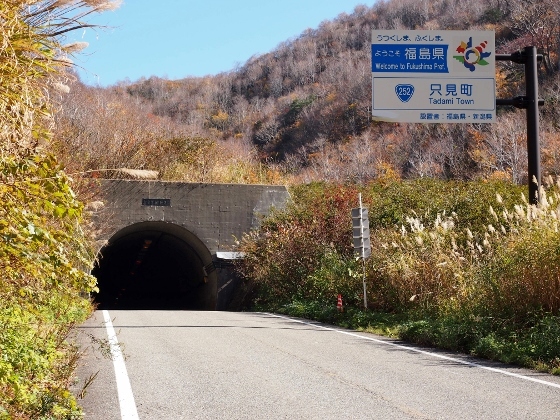 After the tunnel, I pedaled for a while through Uonuma City, Niigata Pref. and returned back. 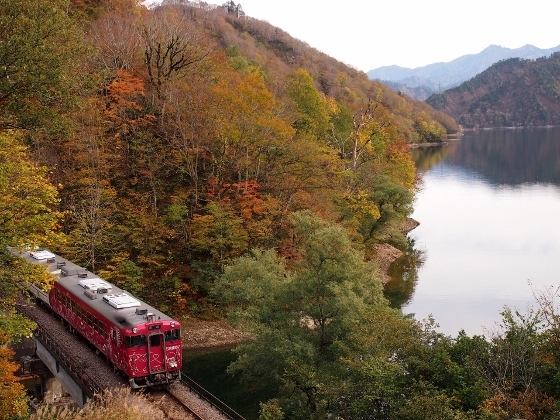 On the way back, I met with Tadami Line train going through autumn colors beside Lake Tagokura as shown above. 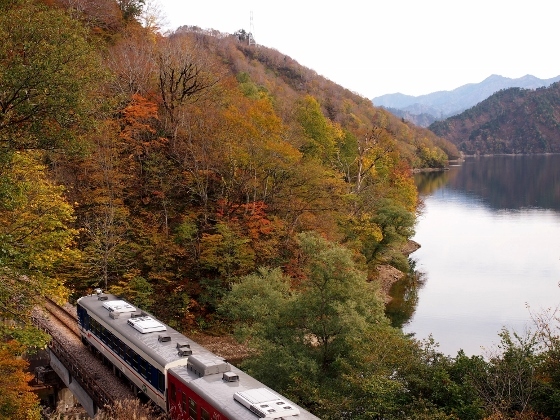 The viewpoint is near an old JR Tagokura Station which is no more in use.